The Canon 5D Mark III is about two and half years old now. 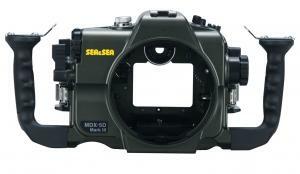 Some of us waited a long time for the camera before pre-ordering it, while some may have just picked it up as a first underwater camera. 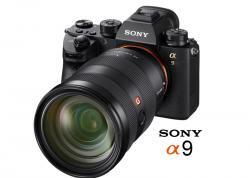 Either way, it's one of the best full frame prosumer DSLRs on the market. The Canon 5D Mark III blends the beautiful image quality of Canon's 22.3MB CMOS sensor with a 61-point autofocus system, advanced light metering system, 6 frames per second burst, high ISO capabilities and full HD video with two compression settings (there's also a 3rd party hack for RAW video recording). These elements add up to make one of the best all-around cameras out there, which is what appeals to my style of photography - underwater, landscapes, sports, portraits, night scenes, etc. The 5D Mk 3 shoots all of it very well. That said, if birds and long telephoto shots are your thing, you're better off looking at the new Canon 7D Mark II as a prosumer DSLR. 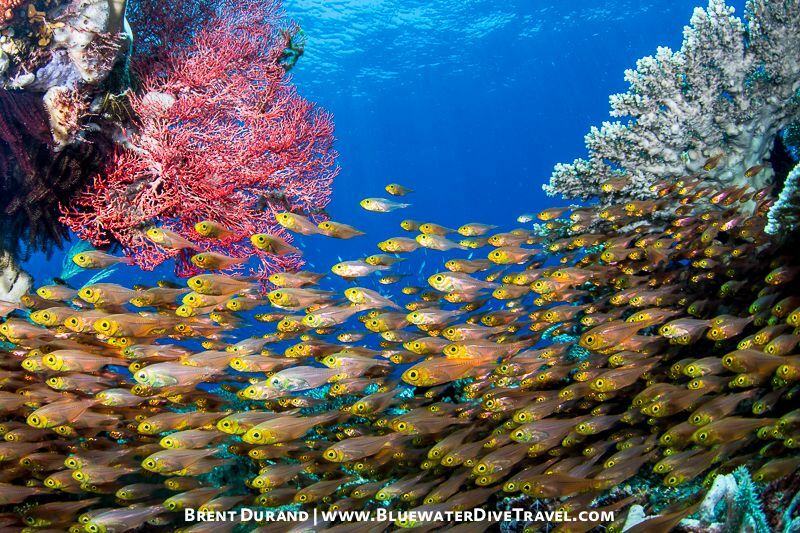 Mid-range reef scene shot with the Canon 5D Mark III in Aquatica housing. Our recommended menu settings are generally the same for macro & wide-angle shooting, however do depend on the conditions and subject being photographed. Before looking at specific settings for shooting wide-angle and macro underwater, let's look at some essential menu settings for the Canon 5D Mark III. These settings will work for any housing, but keep in mind that they do have a level of personal preference. Shoot in RAW. 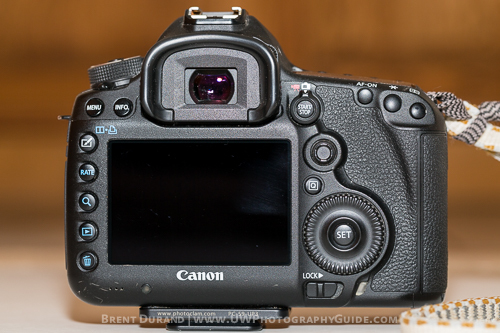 If you're shooting the 5D Mark III, you probably shoot in RAW already. If not, suffice it to say that RAW format records more data and allows more flexibility during post processing than compressing the file into a JPG format in-camera. Use both CF and SD Cards. This creates more space for memory in case you don't want to open your housing during the day and doesn't create any noticable slowdown in writing or buffering. Just make sure to use fast memory cards. Set Picture Style or Standard or Neutral. This setting will not affect the data in the image file if you're shooting RAW, however by setting the style to Standard, the LCD will apply some sharpening to the preview, resulting in an image truer to what you'll create in post-processing. Neutral is nice because it doesn't apply any changes, so the LCD shows an image more true to what you'll see in the un-edited RAW file. Video: Neutral is also nice for video because there is no sharpening applied in-camera, allowing for more customization during post. Auto White Balance. 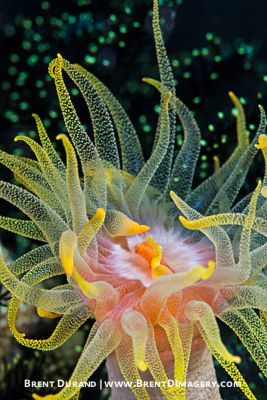 Canon's auto white balance does very well underwater for both macro and wide-angle, but also depends on the color temperature of your strobes. 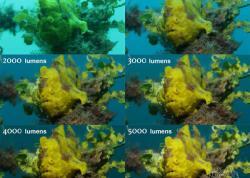 For my Sea & Sea YS-D1s, I rarely adjust color temperature during post. 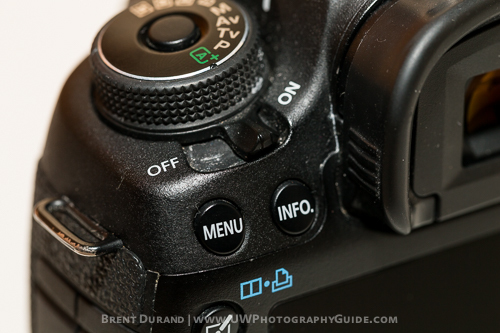 Video: Auto white balance works well for casual video shooters. Serious video shooters will manually adjust white balance before every shot, generally depending on depth and sun angle for wide-angle and video light color temperature for macro. Pro Tip: Turn off the beeping! 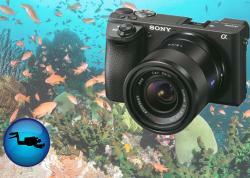 No need to button beeps and autofocus lock beeps underwater. 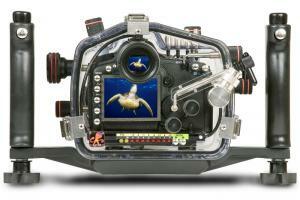 Pro Tip: Turn off the info screen on back of the camera during night dives. 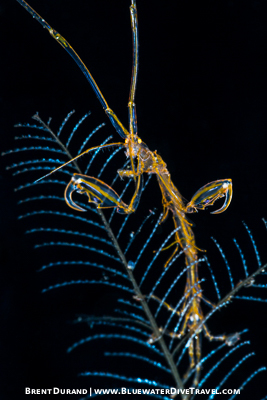 All the glowing from those numbers takes away from your night vision and ability to compose a shot when using a red light (shrimp, cephalopods, etc). You can remember your settings and adjust accordingly before composing a shot with a new subject, or half depress the shutter and use the numbers inside the viewfinder. 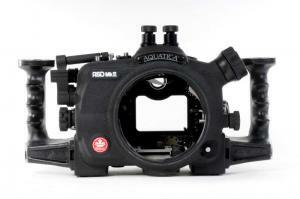 There are two types of lenses available for shooting wide-angle: fisheye and recilinear wide-angle lenes. 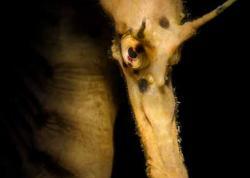 Fisheye lenses are great all-around underwater lenses while wide-angle lenses are best for shooting subjects that are further away, like sharks and schools of fish. Video shooters will often select their wide-angle lens over the fisheye for tighter framing in their shots. I use the Tokina 10-17mm and Canon 17-40mm, however the other lenses have some nice features for those investing a bit more. Keep in mind that there's a lot that goes into choosing the right lens, especially if you also plan to use it topside. Some of these include: price, weight, filter sizes (77mm vs. 82mm) & vignetting properties with your favorite filters, as well as lens speed (for bokeh or low light use). Bluewater Photo's top recommendations for underwater shooters are the Canon 8-15mm fisheye and the Canon 16-35mm - you'll be very satisfied with both! 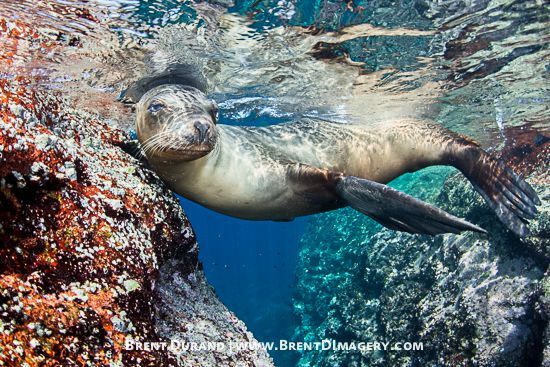 A female sea lion swoons at the Canon 5D Mark III & Tokina 10-17mm behind the dome port. The Canon 5D Mark III shoots great macro shots, especially when paired with the Canon 100mm f2.8L macro lens. That said, many prefer shooting APS-C (crop) sensors because of the extra reach, which essentially magnifies the subject. 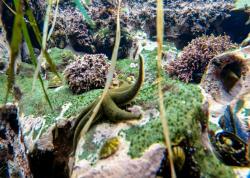 But if you're not trying to shoot nudibranchs the size of sand grains, the 5D Mark 3 will do just fine. Like wide-angle, there are no right or wrong macro settings; the settings will change depending on the subject and style of shot you're after. There are two diopters that Bluewater Photo recommends the most for the Canon 5D Mark III and 100mm f2.8 macro lens. 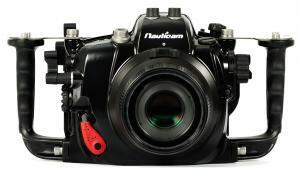 I use the SubSee +10 as I've had it for years, but the newer Nauticam SMC has become a popular choice for those buying new. The general rule for shooting video is to select a shutter speed roughly double the frames per second you're shooting. So for 30fps, you should be using a shutter speed of 1/60. Since this is fixed, the variables that control exposure become aperture and ISO. The Canon 5D Mark 3's full frame sensor is larger than APS-C sensors and requires the shooter to stop down more to achieve the same depth of field. But stopping down limits the ambient light hitting the sensor (i.e. what is illuminated by your video lights). So, in addition to buying powerful video lights like the I-Torch Venom38, you must compose your image to balance a higher f-stop and richer color from your lights with a lower f-stop for depth of field. This is dynamic and settings really depend on each shot composition. The easiest setting is to leave your ISO on auto. 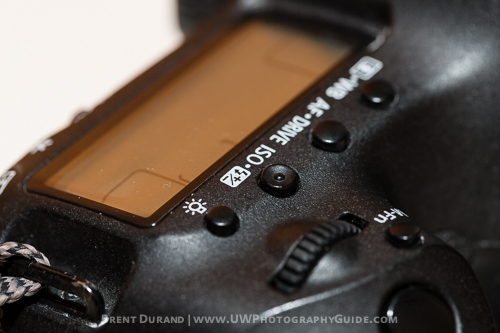 You can also limit the ISO range through the 5D MkIII's menu, setting an upward limit of 6400 (for example). 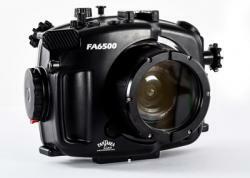 This is nice if you're panning or looking for quick shots. Advanced video shooters will opt for manual ISO control to make sure the exposure doesn't change mid-shot if the camera meters the scene differently. Shoot All-I and not IPB. These files are not compressed as much and deliver higher-quality video. That said, make sure you have a fast memory card to support more data being written to your card. Filmed by Brent Durand. Edited by Anastasia Laity for Bluewater Travel. 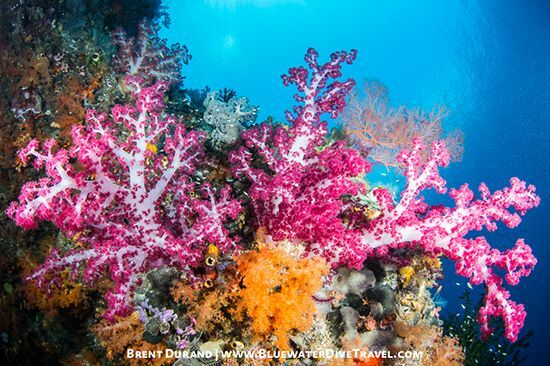 Soft Corals grow on a wall in Raja Ampat, Indonesia.